Pope Francis and South Korean President Moon Jae-in met today. 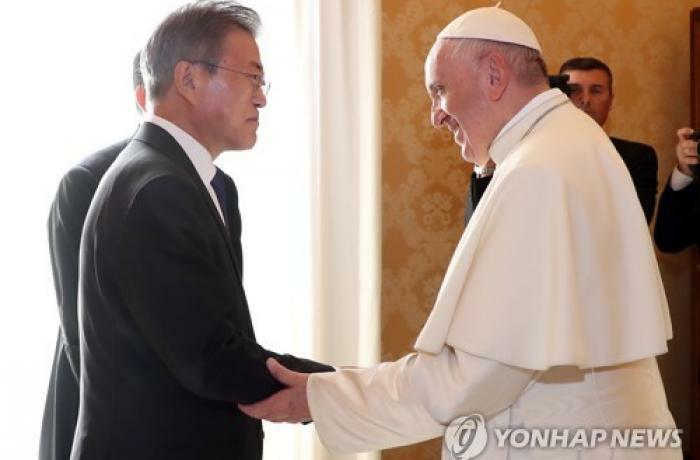 According to a South Korean presidential spokesman, the pontiff expressed encouragement for the peace efforts on the Korean Peninsula. "Move forward without stopping. Do not be afraid," he said. Now the ball is in North Korea’s court. The Vatican and North Korea do not have diplomatic relations. Rome (AsiaNews) - Pope Francis today expressed his willingness to visit North Korea if officially invited during a private meeting with South Korean President Moon Jae-in. The pontiff said that he would "certainly" respond to such an invitation. Moon had said that he would bring an invitation to the pope to visit Pyongyang from North Korean dictator Kim Jong-un. The pontiff noted the verbal invitation relayed by President Moon should be sufficient but that an official invitation would also be nice, said Moon's top press secretary, Yoon Young-chan. The Holy Father supports without reservations ongoing peace and denuclearisation efforts on the Korean peninsula. "Move forward without stopping. Do not be afraid," the pope said. For his part, Moon, a practising Catholic baptised with the Christian name Timothy, thanked the Pope for his support for the peace process and for meeting him despite the ongoing Synod on Young People. 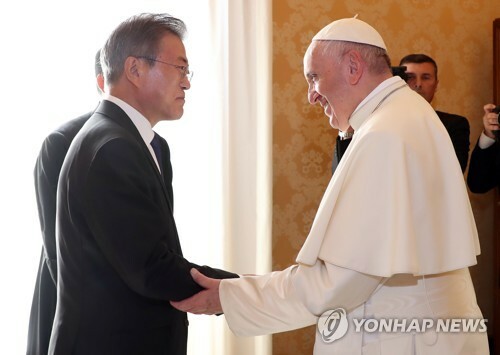 Moon said that he always reminds himself of the pope's message that dialogue is the only solution in all conflicts whenever he and his country faced a critical moment in their efforts to establish lasting peace on the Korean Peninsula.